I get so happy when you update, everything looks so good! For step 3, when you say "Drain the liquid and add vinegar and sugar..." do you mean add the vinegar and sugar in the excess water, or on the daikon and carrot? I'm sorry if it's ambiguous! 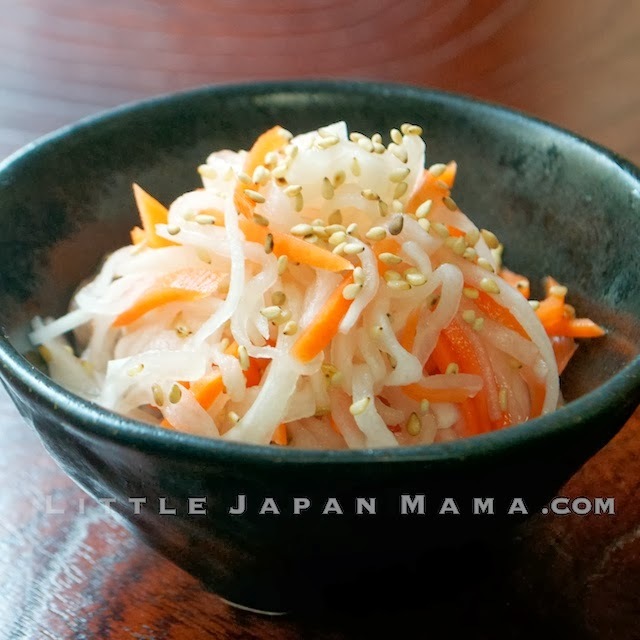 Add the vinegar and sugar to the daikon and carrot. The liquid is to throw away. Hope that helps! is this dish good for a bento box?